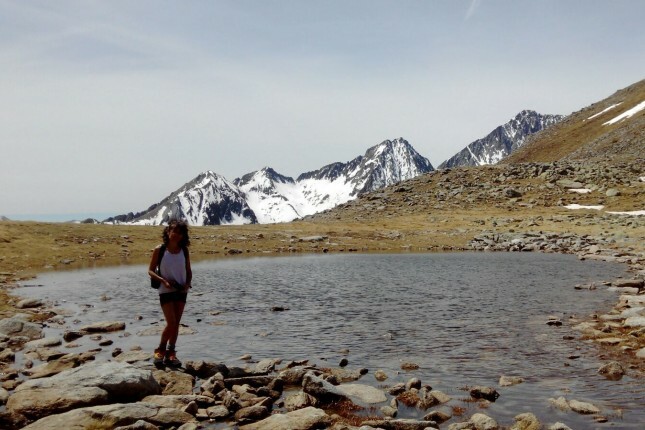 PAC Nacional d' Aigüestortes i estany de Sant Maurici. We run a small horse welfare association. We recover horses that are not wanted by their owners any longer and we try to find them a new home. 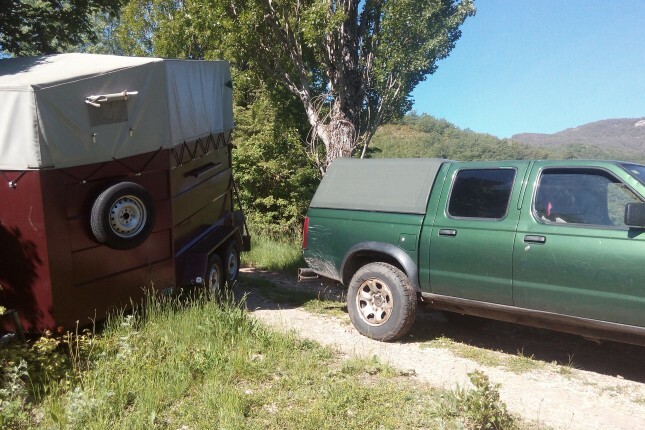 We work with Natural Horsemanship and ride bitless. Tenemos una asociación protectora de caballos. Recuperamos caballos que la gente ya no quiere tener y les buscamos un hogar. Trabajamos sin usar elementos de castigo como la embocadura. 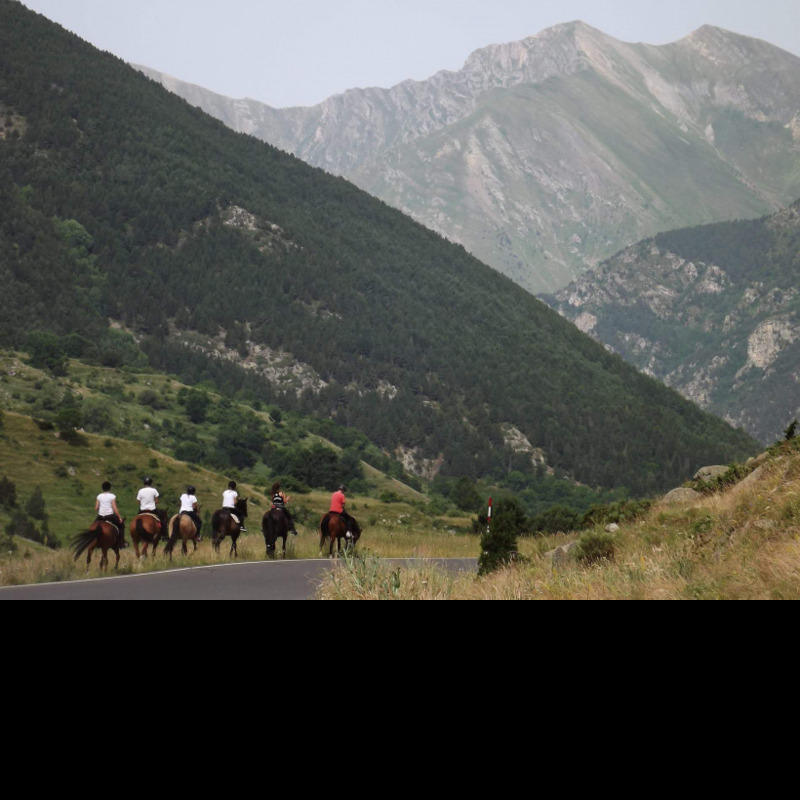 During the summer months we offer riding excursions in the mountains. 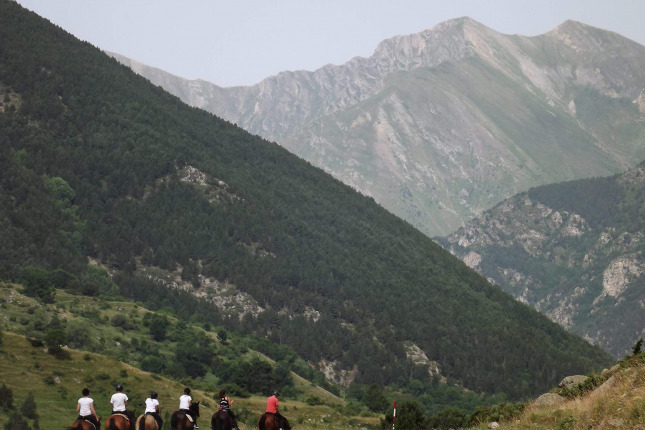 These excursions are how we raise money to support the horses throughout the winter. We need help grooming, tacking up, feeding, and generally taking care of the horses and getting them ready for the excursions. We also help cleaning and cooking for eachother, running errands, etc... In July and August we need at least one person who can speak Spanish and one who has a drivers license. Bought​ with some experience with horses. 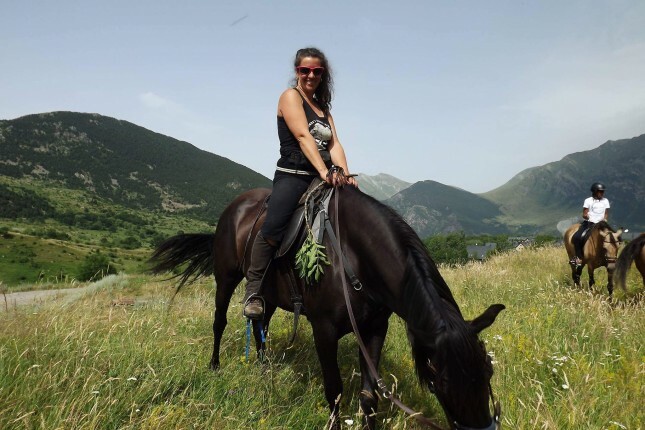 In June we prefer workawayers who have experience training horses or at least are enough experienced rider to help get the horses trained for the excursions. Handy man or woman are also welcome. 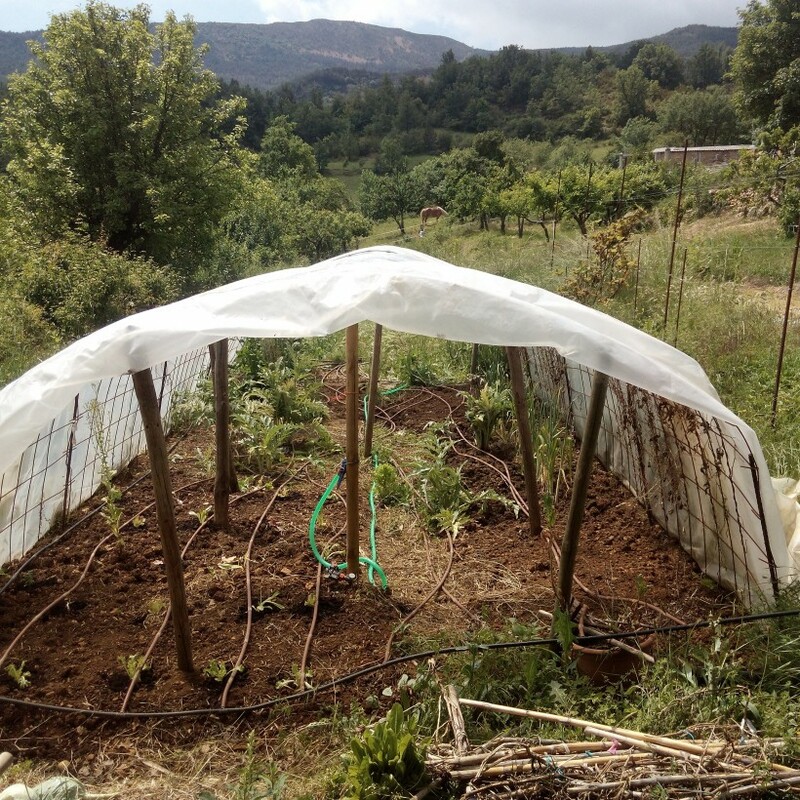 If you have some vegetables garden skills you can help us also with the garden and green house to provide teasty vegetables for all us. We would love some help with the project in general, business planning, marketing etc. Any help in this field is welcome! 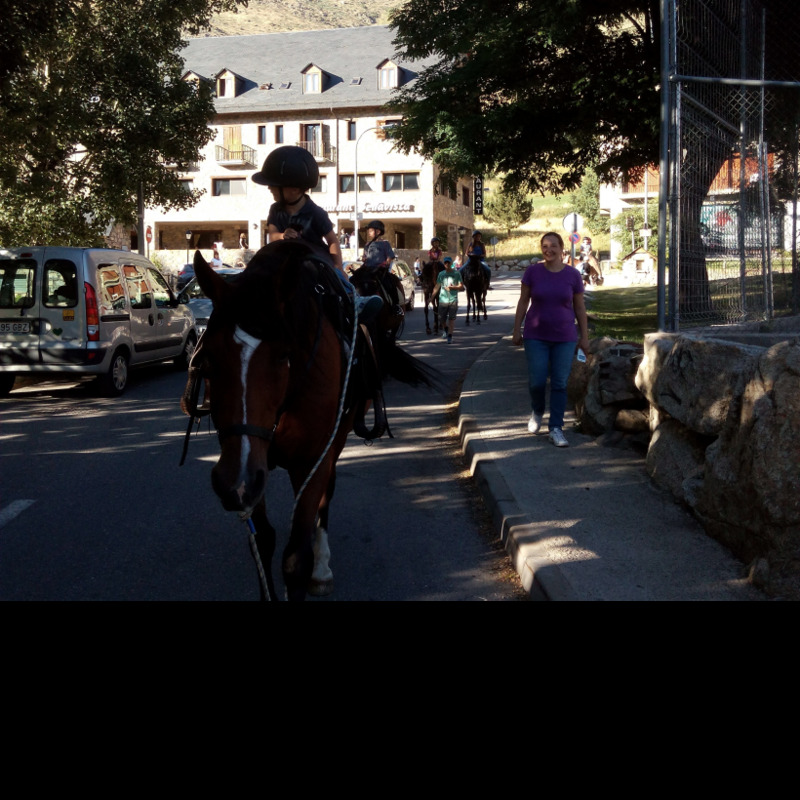 Durante los meses de verano ofrecemos excursiones a caballo por la montaña con los caballos que fisicamente estan preparados para ello. 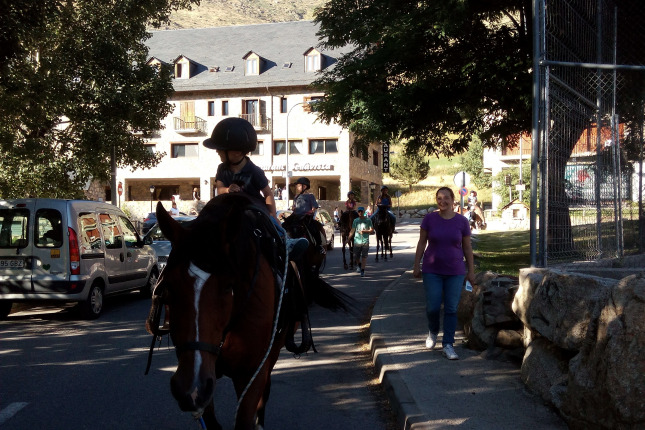 Esta actividad nos ayuda a acercarnos a un mayor publico y con los ingresos que obtenemos sufragamos los gastos de todos los caballos durante casi todo el invierno. 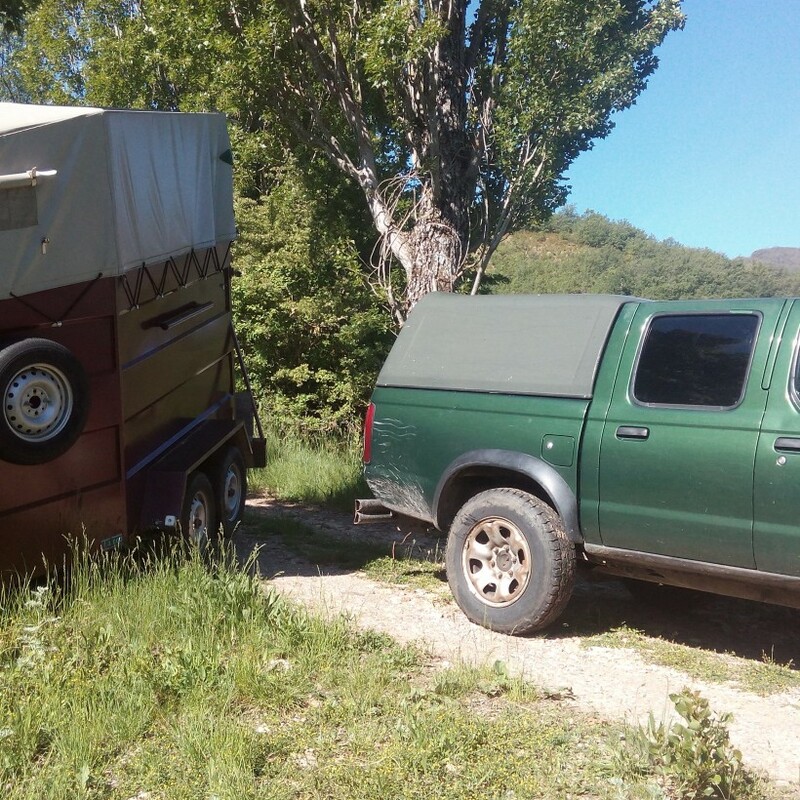 Necesitamos ayuda para cuidar caballos, cepillarlos, ducharlos y prepararlos para las actividades. Tambien para las taresa del hogar , hacer recados...etc. En julio y agosto necesitamos al menos una persona que hable español y tenga permiso de conducir. 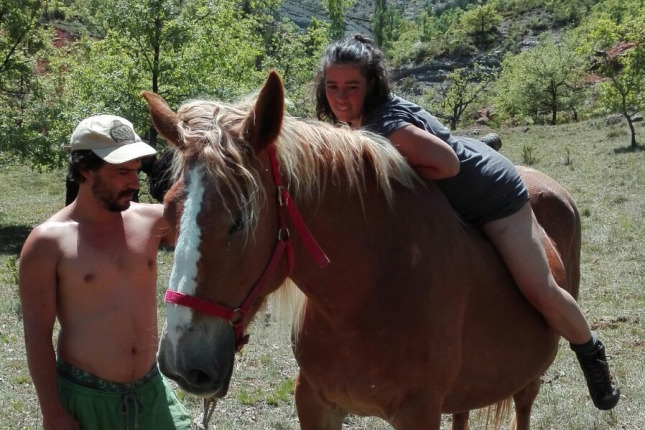 Para el mes de junio preferimos a alguien que tenga experiencia domando caballos o por lo menos montando y tratar con ellos. Si eres manitas serás siempre bienvenid@ y si entiendes de huerto podrás ayudarnos a cultivar deliciosas verduritas para todos nosotros. At the moment we are in need of strong volunteers to help build fences and shelters for the horses. Apart from looking after the horses in general, there are million little things to do, like cleaning tack or sewing leather. Or making cider, which we are doing right now! Another thing we would like to build is a roundpen, for training. We also have a young dog called Iraila who needs a bit of training too! 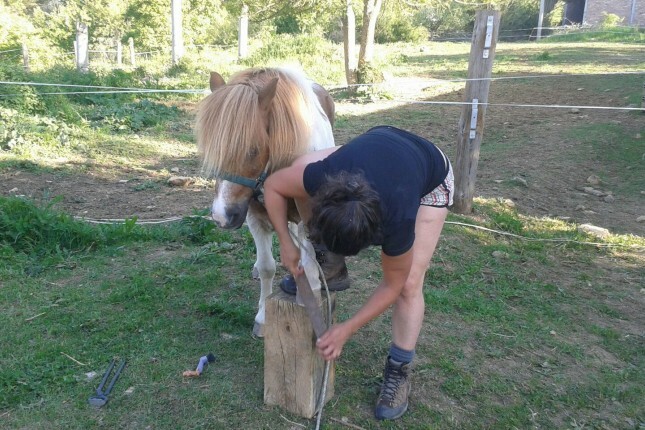 Queremos ayuda para cuidar a los caballos, construir cuviertos y ballados de madera para los caballos y muchas otras tareas esporadicas como cuidados del material de cuero, o hacer sidra que es lo que estamos haciendo ahora. Queremos construir un corral circular para domar a Navas, nuestro potro o los que puedan venir. Tambien entrenamos a Iraila: un proyecto de super perra de rescate! 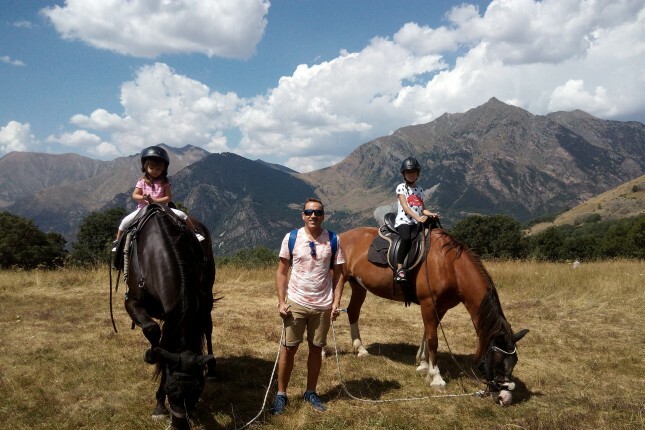 In your free time you can go hiking, mountain biking or rock climbing, and in the winter, skiing, as we are close to a ski resort! You can also go riding of course. 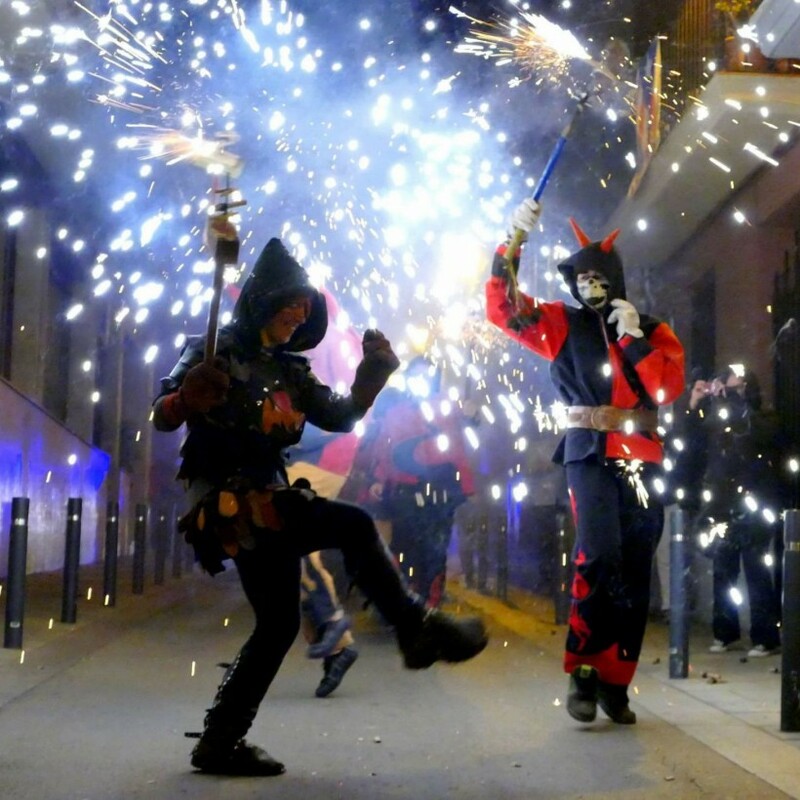 Google : "Alta Ribagorça, Fallas Vall de Boí, Parc Nacional de Aigüestortes i estany de Sant Maurici, Correfocs" if you are curious about. I'm worried you spec something different. I do country side riding. 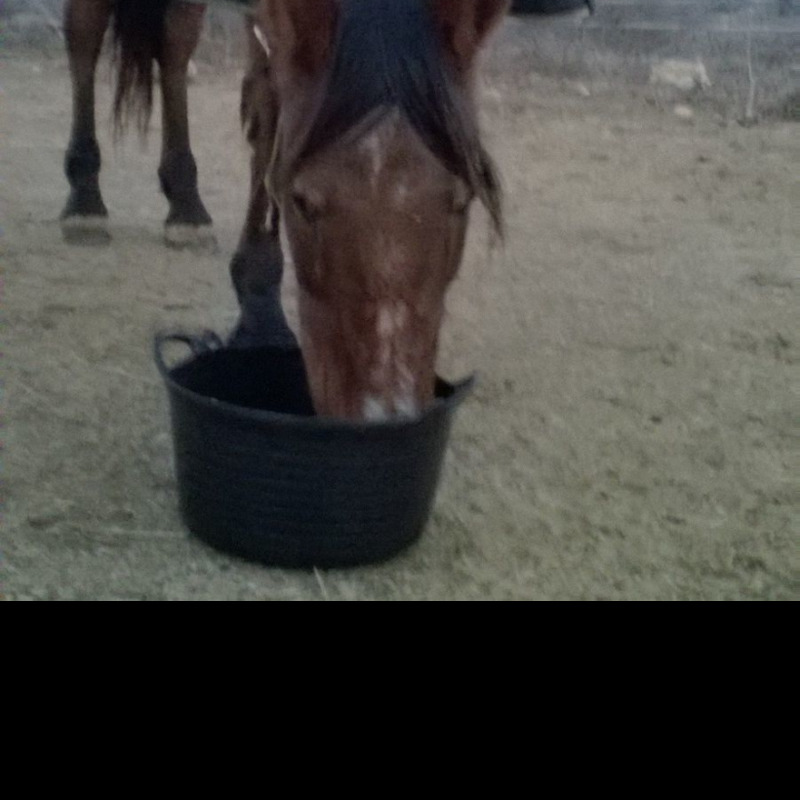 The horses are allways in the field and they like to get dirty. We have not estable. Just tie the horses on a tree. There are plenty of flies and the ground gets mad some time. The tasks are. 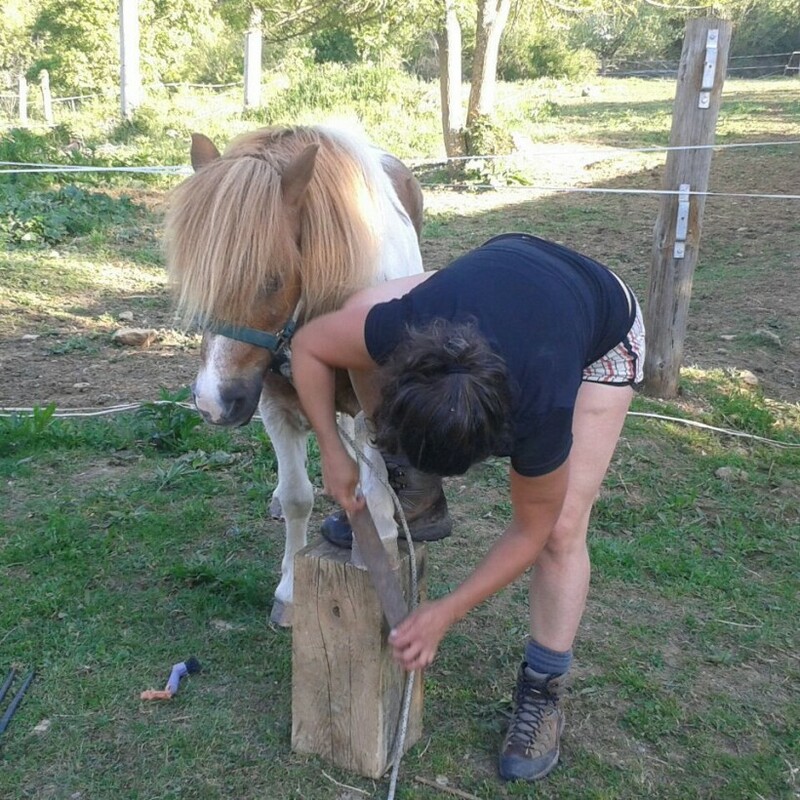 Put and take of sadels, help the riders to get on board, shower the horses( mostly summer time), fencing, and clean the sadels. 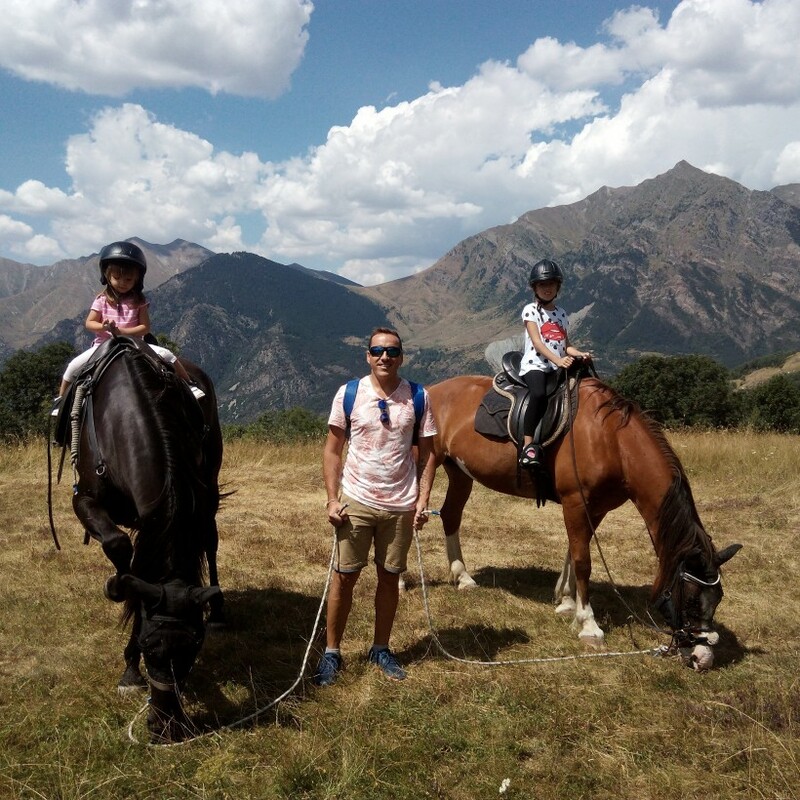 Some time we move the horses by hiking two days by the mountains. I cook mostly vegetarian and you will share your bedroom and the rest of small apartment with anothers volunteers. 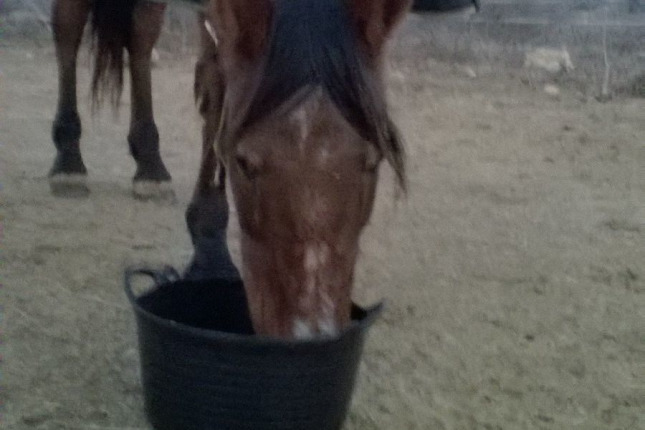 A part of that my horses are lovely, Pleace is beautiful and I treat very good my volunteers. You will get your hands more than dirty. Please Usk your pillow if you are ready to become a tuff mountain girl-boy. I'm ready to gide you. And let me know what's your decision. " I don't like to give false expectations. Some persons come here thinking they are going to enjoy all my best experience I had in 10 years dealing with horses, just in one month. The true is us much time you spend with me, more experience you get. You will have the opportunity to ride, but not every day. I will teach you all I know, and my horses will teach you more as well. But probably you will learn more about how to trite horses and how to grow a relationship with them than properly riding. Volunteering with me is more like to play share my stile of live for a while. Be ready to be flexible, please. If after that, you are not scare enough, I will consider your candidature. Specially if you are coming for a longer period. 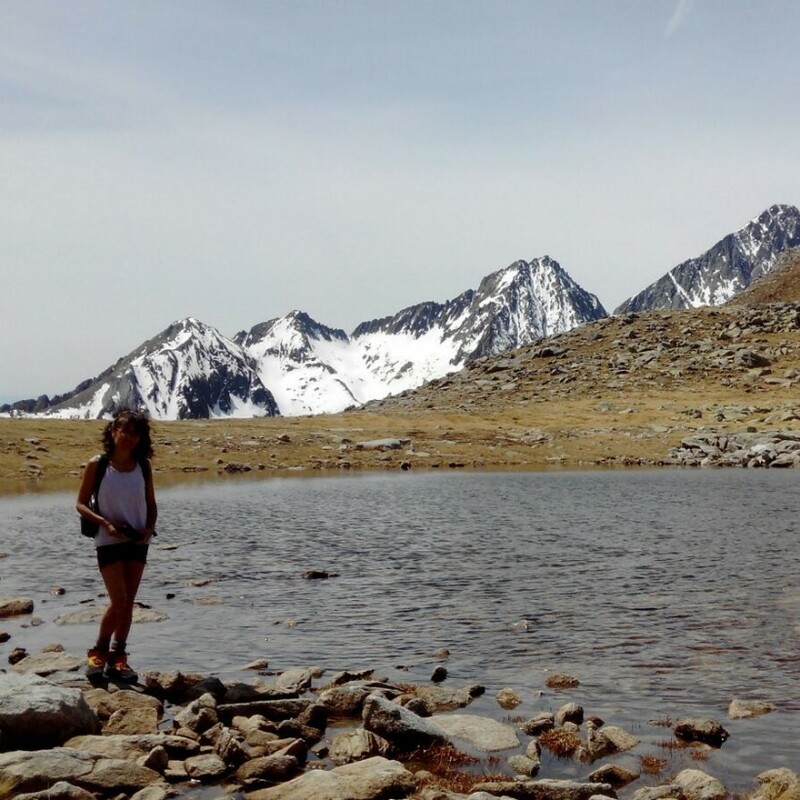 En tu tiempo libre puedes practicar senderismo, BTT, escalada y estamos muy cerca de una estación de esky. Tambien puedes montar a caballo por supuesto. A veces participamos en fiestas tradicionales como Correfoc O bajar Fallas. 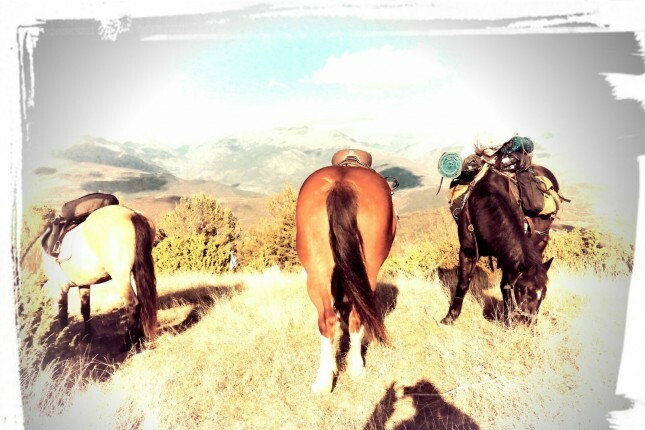 lather work, sider make, Mountain trails. I allways try to take my volunteer with me what ever activity I do, friends meeting, cultural parties, visit ecovillages nearly...so basically volunteering with me is like play to share my live stile for a while. You must be ready to jump in it, or stay at home and miss it. 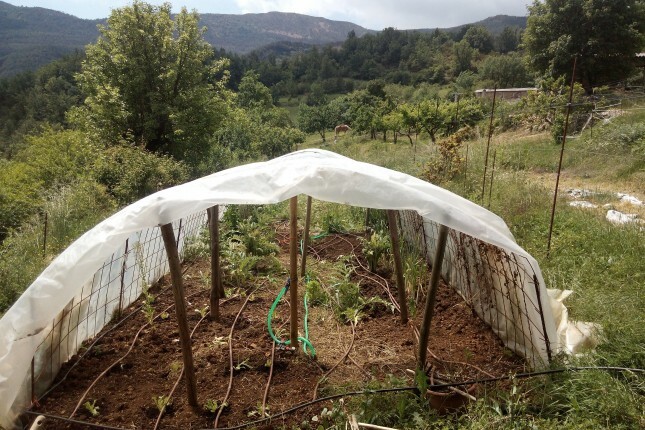 De huerto, hacer vallados, cortar leña. Trabajar el cuero, hacer sidra, rutas de montaña, entrenar perros. Los voluntarios normalmente pueden acompañarme a cualquier actividad que yo haga: visitar amigos, ir de excursión, fiestas culturales, visitar ecoaldea cercanas...básicamente hacer de voluntario conmigo es como jugar a compartir i disfrutar mi estilo de vida por un tiempo. Puedes estar preparado para disfrutar de cualquier actividad que te proponga o quedarte en casa y perderte la. I'm singl. I live by the mountains since I was little. 11years ago I decided to quit my job to become a natural horsemanship trainer and here I am. I'm demanding, meticulous and although I am adventurous, I worry for the safety of those who are by my side. I'm​ patience and I like teaching people how is interested to learn. But your best teachers will be my lovely horses. 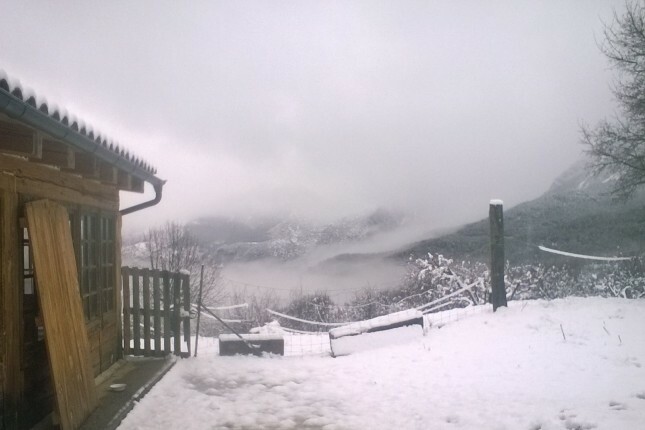 In summer we live in an apartment in Boi Taull in Pla de la Ermita, 1500 meters above sea level in Vall de Boí. Close to Aigüestortes i Estany de Sant Maurici National Park. The apartment is small and personal space is limited, but the natural spaces outside are incredible. In August we work hard, but you will have more time for your self and more social live. 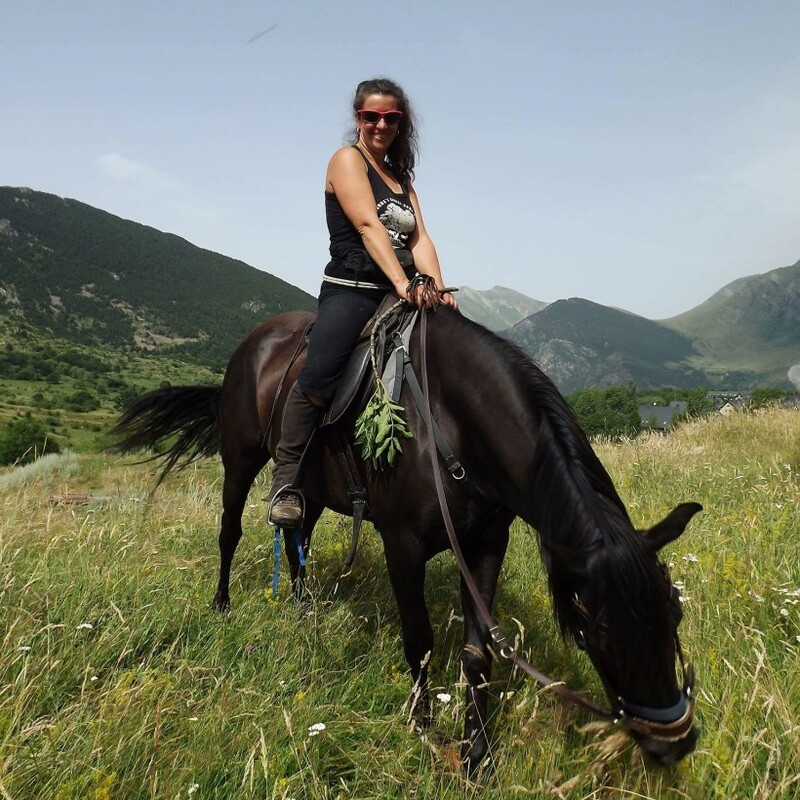 In September we return home to Pallerol where we have the horse sanctuary, and we have more time to pamper the horses. We mostly eat vegetarian food. 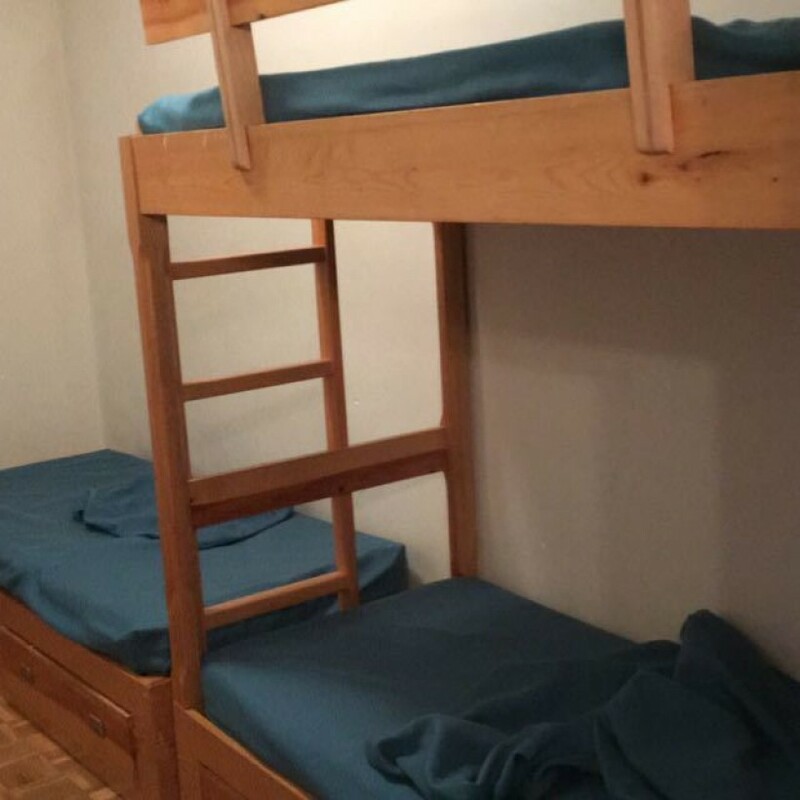 En verano nos alojamos en un apartamento en el Pla de la Ermita, el Resort situado a 1500 metros de altura en el limite del Parque Nacional de Aigüestortes i Estany de Sant Maurici. El apartamento es pequeño y el espacio personal limitado, pero los espacios naturales alrededor, en la cima de la Vall de Boí, son impresionantes. En agosto trabajamos duro, pero tendrás más tiempo libre y posibilidad de socializar más. 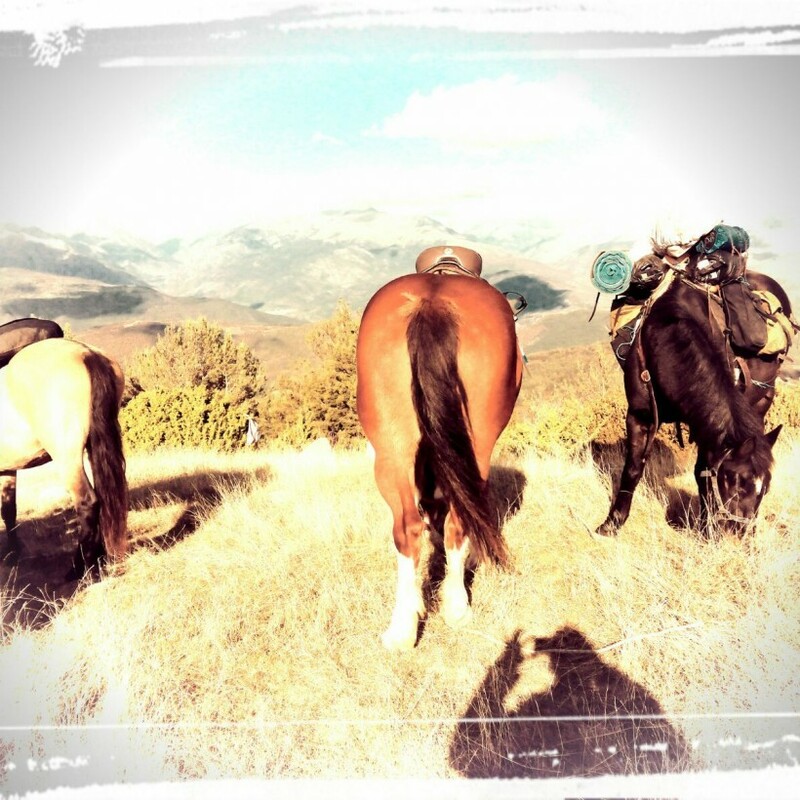 En septiembre volvemos a Pallerol, donde tenemos la protectora y tenemos mas tiempo para mimar a los caballos. No somos vegetarianos pero nuestra dieta es poco carnívora. During the winter months we live in Pallerol, a tiny village surrounded by mountains; a wonderful place in the middle of nature. 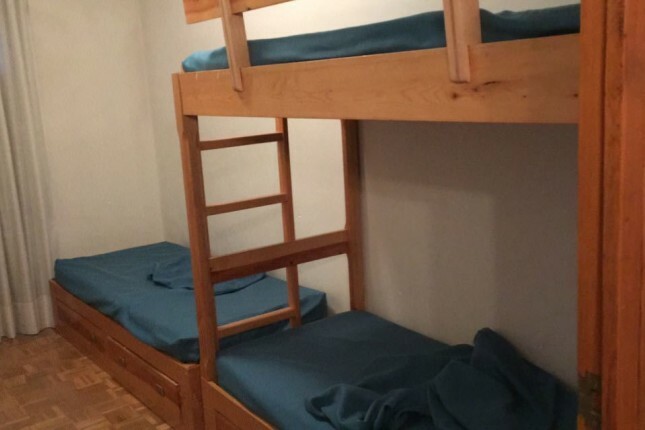 For groceries and other amenities we go to Pont de Suert, which is a 15 minute drive away. The house, (which used to be an old barn), is nice and bright. It has running water (hot and cold). Electricity is by solar panels. Power enough to church phones and watch a movie in the computer at night time if the battery is chard enough. No fridge, no washing machine. Internet is limited only for mail and WhatsApp. You can enjoy better and free internet at the library in town. 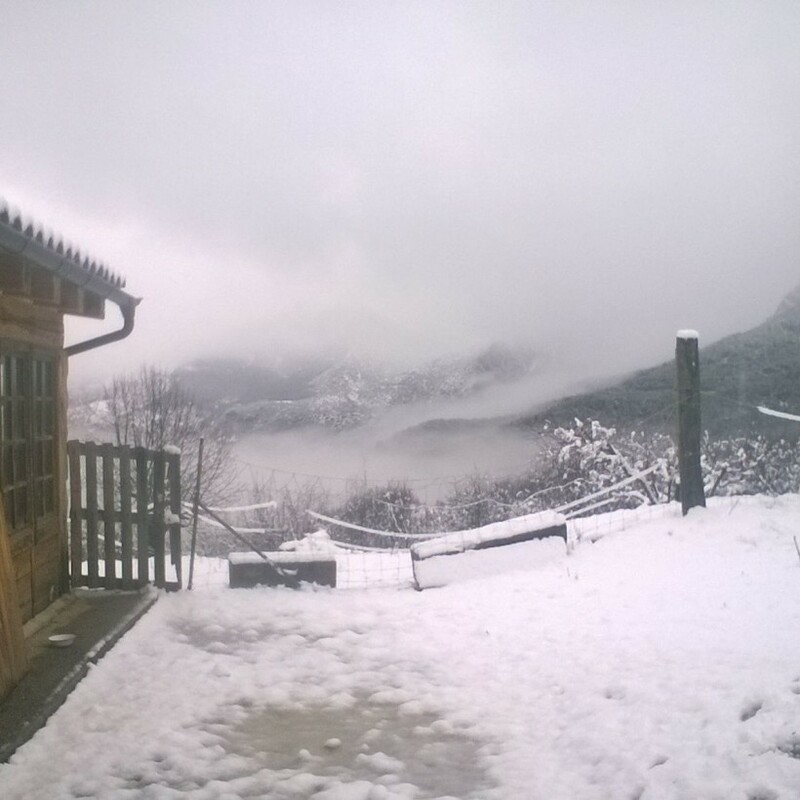 Durante el invierno nos alojamos en nuestra residencia habitual en Pallerol. Una tranquila aldea enclabada en un entorno natural. El pueblo mas cercano con tiendas y bar esta a 15 minutos en coche. La casa es calida y acogedora pero por el momento no tenemos electricidad. Pero si tenemos agua caliente. Esperamos haber instalado unas placas solares antes de que termine el otoño y tambien internet.